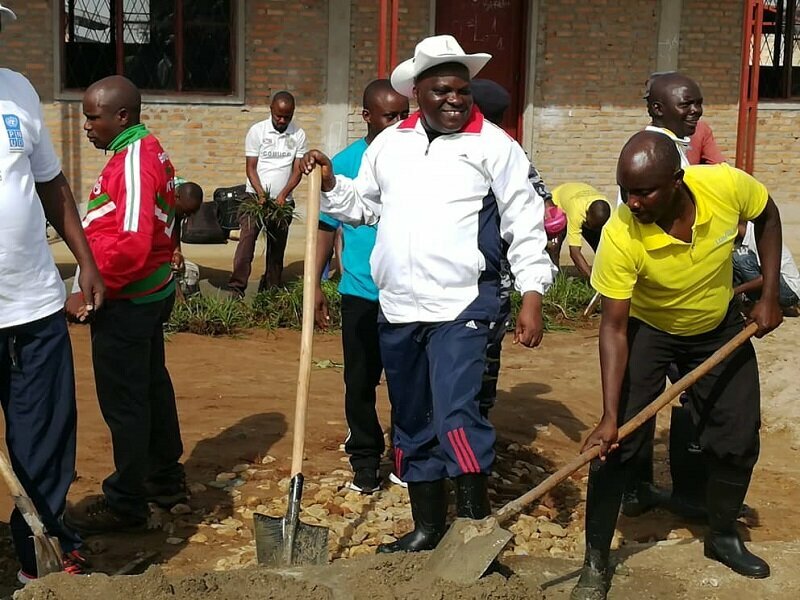 BUJUMBURA December 3rd (ABP) – The Speaker of the National Assembly of Burundi Mr. Pascal Nyabenda, accompanied by Interior Minister Pascal Barandagiye, joined, on Saturday December 1st, 2018, the people of Gihosha zone in community development works which consisted of mixing sand and cement for the pavement of a volleyball court at the Municipal High School of Gasenyi. 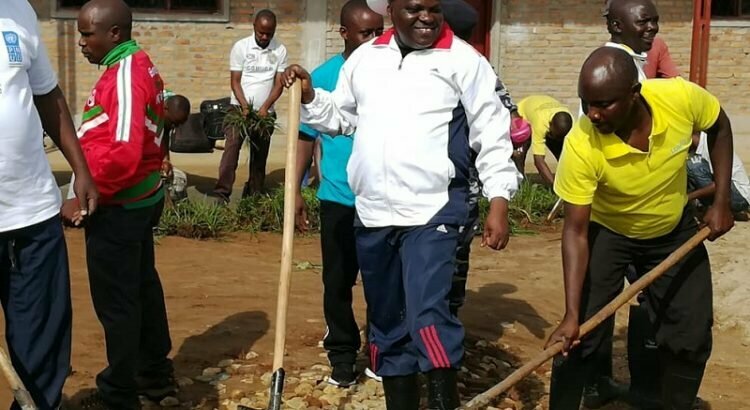 Some parliamentarians elected in the Bujumbura City Council constituency and some executives of the National Assembly were also present in those works. After thanking Minister Barandagiye for his involvement in the construction of that court, Mr. Nyabenda, in his message to the people, recalled that the court will be of great importance to the surrounding people because it will serve them as a place of relaxation through game after service hours. He also reminded them the importance of games. For him, games are important for health, they strengthen friendship, help in social cohesion, to name but a few. Mr. Nyabenda took the opportunity to inform the people that currently, the capital Bujumbura hosts visitors composed of parliamentarians from different East African Community countries. They came to participate in the inter-parliamentary games that are organized in December each year, he explained. He asked the people of Bujumbura who have the opportunity, to come and watch the different matches that will take place on different grounds or courts of the capital. He said that there will be different disciplines including football, volleyball, the netball, basketball, and the like. Note that all the other the East African Community countries are already there, Nyabenda said, adding that they were waiting for the arrival of Rwanda and South Sudan.